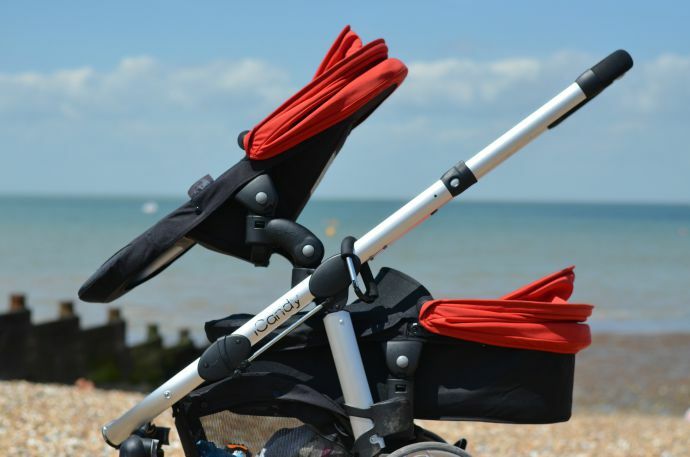 We have had our iCandy apple2pear for about 2 years now and it is still our favourite double buggy. 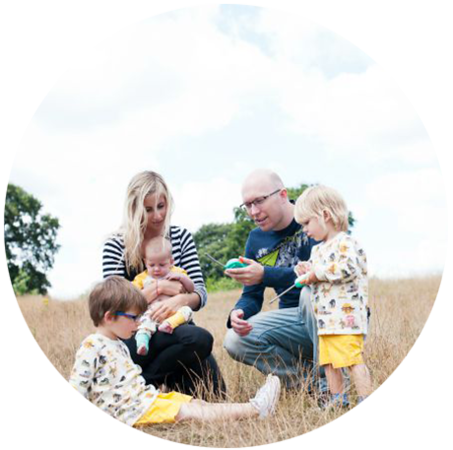 It has carried all three of my babies at different times, and when Finn came along I knew that we would use it for him. iCandy kindly sent us the newborn carrycot and for the past 6 months Finn has been testing it out. 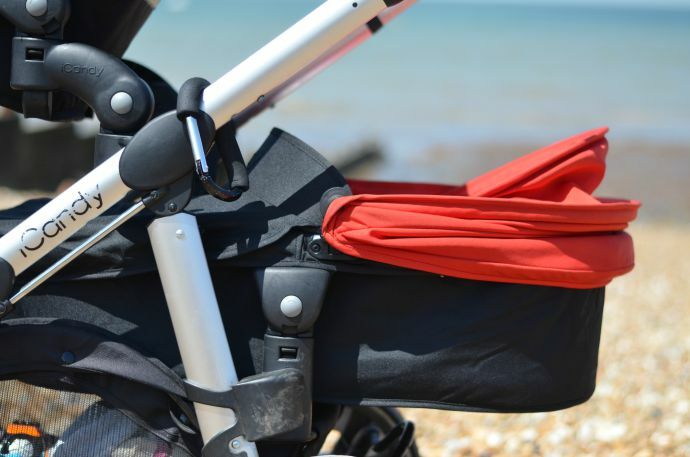 The carrycot is soft, with no solid frame. You have to remove the seat unit from the metal frame to attach it, and it hangs down from poppers and velcro at the top. This makes it ideal or popping in the car boot as hard carrycots take up much more space. It isn't easy to take off the seat fabrics, so this isn't something you can swap over daily, but once it is on it feels very secure. 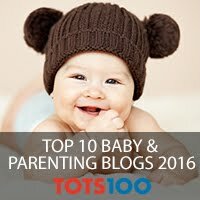 THe carrycot has to go on the bottom, and the older child can sit on top looking out. This is the only positioning with this set up and whilst I didn't particularly want both boys facing away from me, it meant Finn was very sheltered in the colder months, and they were both very happy. 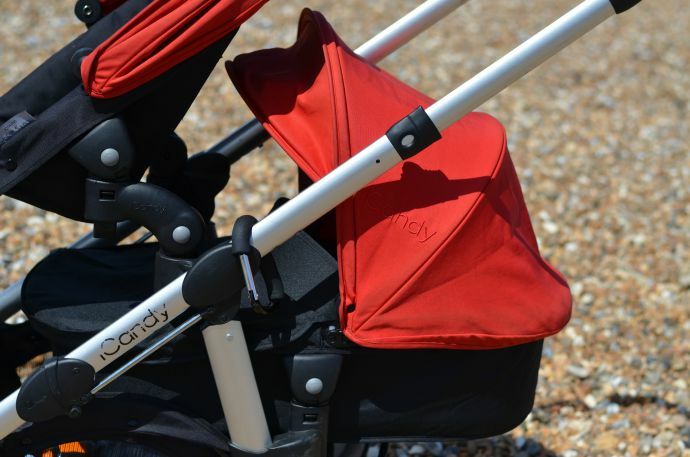 I love the iCandy apple2pear as I find it so easy to push, incredibly resilient, surviving anything my three can throw at it, and it is easy to collapse (once you have taken the seats off). With the carrycot on the basket is more accessible (through the front), and I can fit a couple of jackets and a blanket underneath with no problems. It certainly isn't the biggest carrycot around, but I think that is part of being a double buggy and Finn still fits in their with growing room now at 6 months, so it is more than adequate for our needs. My biggest issue is that our seat was so well used and by heavy children that the frame seems to have bent ever so slightly meaning Finn's head is lower than his legs, but we popped a blanket under the mattress which has sorted it out. We should really swap the seats over, as Archie's hasn't bent at all. 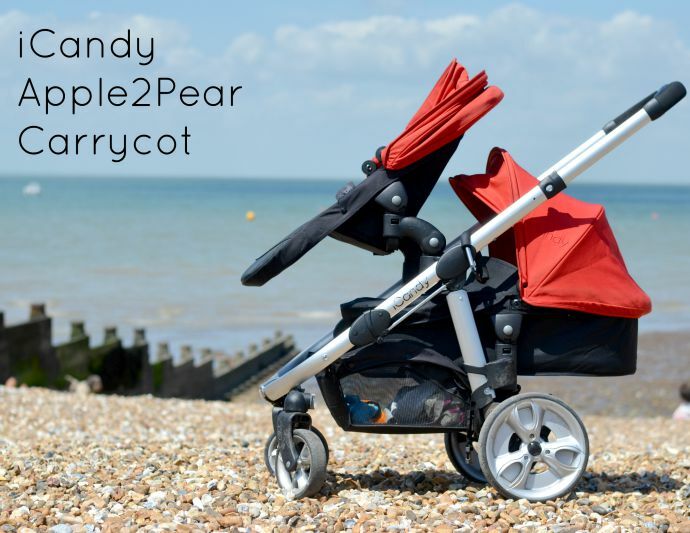 Overall, I would highly recommend the iCandy apple2pear with a carrycot for a newborn. It looks comfortable, feels secure and spacious and is lovely to push. 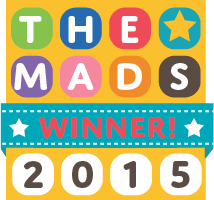 It adapts easily into a toddler seat, without having anything bulky to store and it fits comfortably in our boot. It's been my one and only pram the whole way through too and I love it, mostly because the handle goes beautifully high which is perfect for lanky types like me. I love that you can get so many combinations out of it too - we're in double seat mode now but I can decide exactly which seats I want where whenever I take it out of the car which is brilliant.